April was a month full of season finales and the final build-up to upcoming season finales. There were a lot of funny, sad, heartfelt, emotional, all-encompassing performances in April. 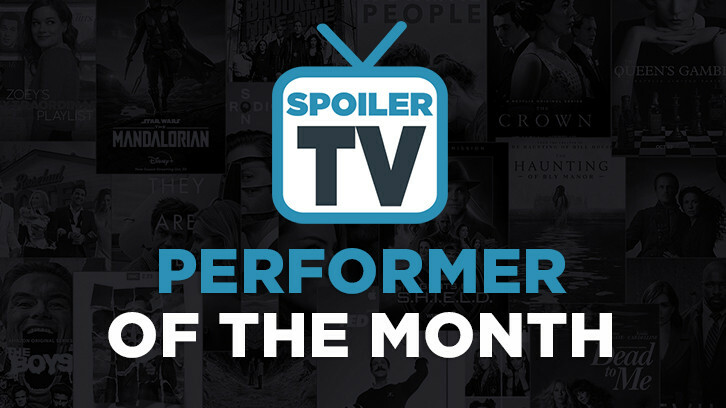 Performers were delivering unbelievable performances with so much brilliance that it will be hard to narrow it down to a small group of ten to compete for the April title of SpoilerTV's Reader's Choice Most Outstanding Performer of April. But, alas, we must partake in this tough task, so be sure to place your nominations. It should be very interesting to see who gets nominated and who ultimately wins this month. Take note that because two performers have already won for Grey's Anatomy this year the other performers on the show are ineligible for the rest of the year.They will all become eligible again at the start of the 2019 cycle of POTM. Nominations will run until May 7th at 6 pm ET. The poll will post on May 8th at 6 pm ET.